Can Your Laundry be the Culprit of Your Contact Dermatitis? Are you prone to get an itchy, red rash on your wrists or limbs or hands or neck? Maybe that rash leads to blisters that even begin to ooze a bit. You think to yourself, “What in the world?” as your scratch yourself silly. Turns out, it very well could be a condition called contact dermatitis. Here’s the bad news: when you have it, it’s super-irritating and uncomfortable. But here’s the good news: it’s also curable and preventable. Once you identify what’s causing your contact dermatitis – and there are some classic suspects, as we’ll soon discuss – you can take steps to ensure you lessen or eliminate your exposure to those irritants. 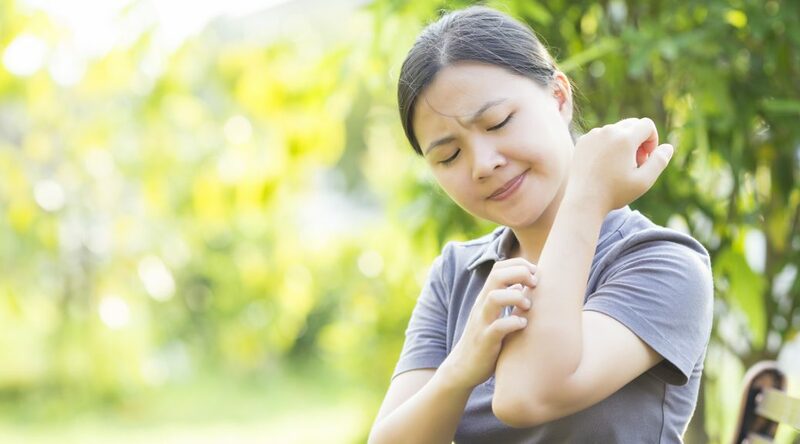 Defined as a type of skin rash, contact dermatitis “…occurs when skin comes into contact with chemicals or physical substances that cause an allergic or irritant reaction.” So, what are some of the worst offenders when it comes to causing contact dermatitis? According to WebMD, the top 3 spots on the “12 dirty dozen” are common household items we use to clean our home and laundry. Laundry, in particular, can act as a double irritant: instead of coming into brief contact with an irritant, your clothing can hold traces of those irritants – detergents, chemical fragrances and fabric softeners – that are then in day-long contact with your skin. Laundry especially seems to be a culprit. It can sometimes be easy to overdo on adding chemicals to the wash, all in the hopes of getting your clothes cleaner, or towels fluffier, or old socks smelling better. Many people add even more product that is recommended, which of course, can compound the issue of contact dermatitis. One solution is going fragrance free with detergents and cleaning agents, which can sometimes help, though it’s not a complete elimination of those chemicals from your household. A more effective step is to eliminate those irritants from your laundry altogether. With the technology of product like LaundryPro 2.0, you get the clean, fresh-smelling, fluffy clothing you desire, all without the need for bleach, detergent, fabric softener (and hot water)! The LaundryPro 2.0 produces clean clothing and linens free of soap and fragrance residue that can trigger a bout of contact dermatitis. Are Odors Invading Your Basement?